A company has a duty to honor your policy. Unfortunately, this isn’t always the case. Unfair treatment in these cases gives you the right to compensation. As experienced insurance claim attorneys, we can help you evaluate your claim and understand your rights. Having your insurance claim denied can be devastating. 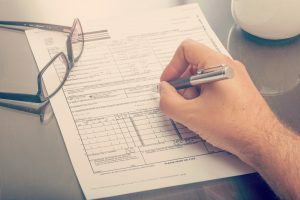 More often than not, the endless paperwork you face, to say nothing of the powerful claims adjusters working to deny you assistance, can be extremely frustrating. Working with Hales & Associates, A Professional Law Corporation will increase your chances of success and relieve much of the stress you’re facing. Hales & Associates, A Professional Law Corporation helps Murrieta, Temecula, Wildomar, Menifee, Sun City, and Lake Elsinore families fight insurance companies seeking to deny their claims. Call us now at (951) 489-3320 to get the aggressive, principled personal injury representation you need.